Edward McKnight Kauffer was born in Montana in 1890. After studying at the School of Design from 1910 to 1912, and later at the Art Institute of Chicago, he moved to Paris in 1913 and studied there until 1914 when at the onset of World War I he moved to London. 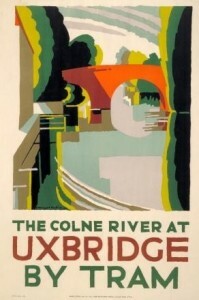 For the next 26 years he developed over 125 posters for the London Underground and London Transport. These posters are reflective of Kauffer’s wide range of artistic interest and the free reign that the legendary Frank Pick allowed his artistic team. Kauffer’s work took many forms from cubism, futurism and impressionism. While in London he worked for other clients including Shell Oil as well as illustrating books and book covers. In 1940 he returned to the United States working in the burgeoning advertising market. His last major clients included American Airlines and Pan Am. 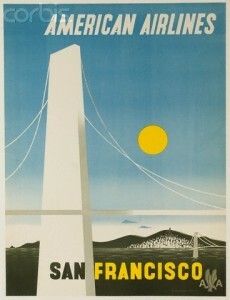 He continued his poster design effort until his death in 1954. 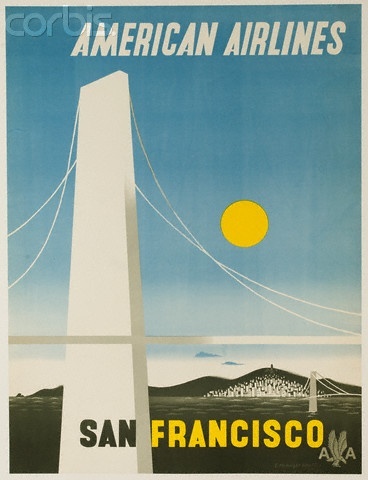 Kauffer, who took the middle name of McKnight in honor of an early mentor, remains one of the great poster designers of the 20th century through his versatility in bringing a fresh approach to all of his work. His work remains popular with collector’s with prices ranging from a few hundred to many thousands of dollars, with his early work for London Underground and Transport being consistently well regarded.